A railway connection linking Rovaniemi with the northeast coastal city of Kirkenes in Norway is being considered by Finland's Transport Ministry. Minister Anne Berner says it will improve Finland's security of supply. A study on a potential Arctic rail line connecting Finland with the Arctic Ocean was released on Friday, with a route from Rovaniemi to Norway's Kirkenes judged the most feasible. Finland's Ministry of Transport says it will join with Norway to explore the matter more thoroughly. Transport and Communications Minister Anne Berner said the route to Kirkenes would improve Finland's logistical position and accessibility. 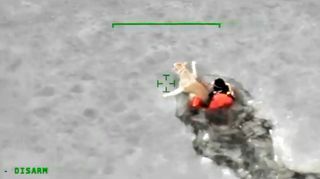 "This route alternative is the most realistic, but still requires further research," she said. Berner says the project would promote Finland's security of supply and general ease of access, as it would provide an alternative route to the Baltic Sea. She says the study has taken things like reindeer husbandry and environmental issues into consideration. The decision to select the Kirkenes route was taken jointly with Norwegian officials. Berner says she has met with the Norwegian Transport Minister Ketil Solvik-Olsen three times to discuss the link. "The Arctic link is an important project, as it would more securely connect the continental countries of Europe with Arctic areas. A railway connection would improve the commercial prospects of several businesses in the northern area," the minister said. The environmental impact of the potential railway is still being assessed, but there are those that fear it will cause problems for the area's reindeer herders and the native Skolt Sámi population. The ministry plans to discuss things in more detail with both the Sami Parliament and at Skolt village meetings. The route connecting Rovaniemi with Kirkenes, via the Finnish city of Sodankylä, is estimated to carry a price tag of 2.9 billion euros. Finland would pay about 2 billion, while Norway would contribute 900 million. The Transport Ministry's press release says that none of the route alternatives that were considered would have been profitable. The costs of different transport modes and changes in the region's business and industry may significantly alter future transport volume, however. "To the north, this would mean a connection to the Arctic Ocean, and to the south, a connection to the European rail network via the Helsinki-Tallinn tunnel and Rail Baltica. The Arctic Ocean Railway should therefore be seen as part of the global transport system. Curbing climate change also requires changes in the proportions of total transport volumes accounted for by different modes of transport," the study concludes. 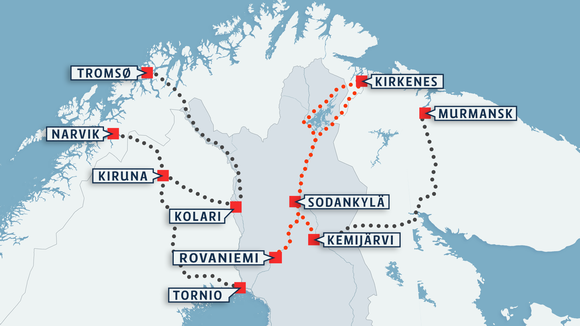 The five alternative routes examined in the study included Kemi–Tornio–Narvik, Kemi–Kolari–Narvik, Kemi–Kolari–Tromsø, Rovaniemi/Kemijärvi–Kirkenes, and Kemijärvi–Alakurtti–Murmansk. Although all were technically feasible, the financial and environmental considerations differed greatly. Now that the study has pinpointed the best route, Finland and Norway will continue their research. A joint working group will be appointed to examine key questions relating to the chosen routing, such as environmental issues, permit procedures, costs, finance structure and model. The group will have until the end of the year to come up with a project and schedule proposal.